Promote your all-star players and pack the stands with fans at your next game! 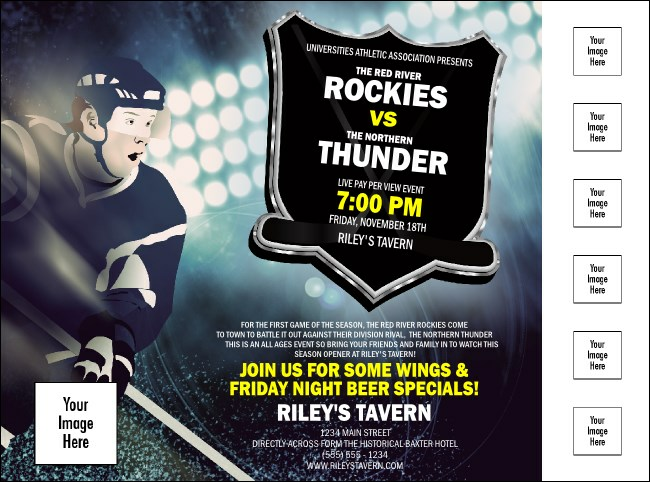 Print Hockey Badge Blue Logo Flyers and post them around town for easy, pre-game advertising. With room for up to seven image uploads, you can feature player headshots to get the fans pumped about the action! Play at full strength with TicketPrinting.com!